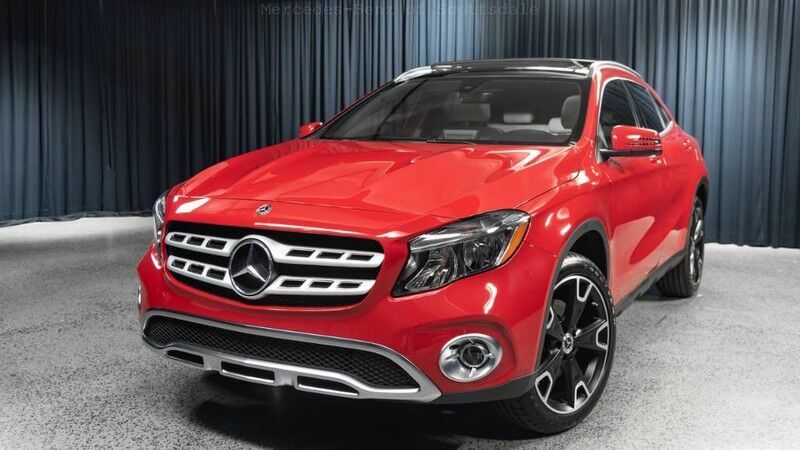 Contact Mercedes-Benz of Scottsdale today for information on dozens of vehicles like this 2018 Mercedes-Benz GLA-Class GLA 250. This Mercedes-Benz includes: JUPITER RED SMARTPHONE INTEGRATION CONVENIENCE PACKAGE BLIND SPOT ASSIST PANORAMA SUNROOF SAHARA BEIGE, MB-TEX UPHOLSTERY *Note - For third party subscriptions or services, please contact the dealer for more information. * This vehicle is loaded with great features, plus it comes with the CARFAX BuyBack Guarantee. Very few vehicles meet the exacting standards of Certified Pre-Owned status. This Mercedes-Benz GLA-Class GLA 250 has met those standards. Do so much more with one vehicle. This Mercedes-Benz GLA-Class gives you everything you need an automobile to be. When it comes to high fuel economy, plenty of versatility and a great looks, this Mercedes-BenzGLA-Class GLA 250 cannot be beat. This Mercedes-Benz GLA-Class's superior fuel-efficiency is proof that not all vehicles are created equal. Check out this gently-used 2018 Mercedes-Benz GLA we recently got in. This vehicle is loaded with great features, plus it comes with the CARFAX BuyBack Guarantee. This SUV is a superb example of what a tough, work focused vehicle should be. Exceptional towing, acceleration and torque will help you get the job done. Save money at the pump with this fuel-sipping Mercedes-Benz GLA. There is no reason why you shouldn't buy this Mercedes-Benz GLA GLA 250. It is incomparable for the price and quality.